The Swiss may put on the greatest motor show every spring but they’re not exactly known for their own cars. What they’re better at is crazy designs for currency, all groovy, trippy colors and weird shapes. And this guy, Le Corbusier, who is known for a car. Like most Le Corbusier designs, it’s not pretty and lovable, but unlike his antisocial and alienating buildings, his car remained on the drawing board. 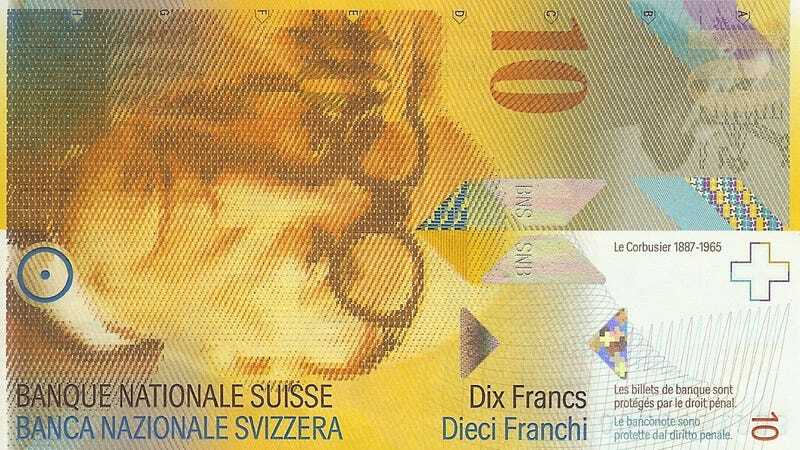 He called it the Voiture Minimum and let’s just say the banknote with the designer’s face on in looks much better. Ten francs is worth about ten bucks and will buy you a small sandwich or three small scoops of delicious-looking ice cream. Geneva is weird when it comes to prices. The perfect city, really, to show off a $4.6 million Lamborghini.